The past week has been one of those non-stop, no time to be stressed out, coffee chugging type of weeks. From 5 year old birthday parties in San Antonio to full time jobs and full time hobbies…I needed a snack I could literally make in under 15 minutes. This week on American Idol the top 7 (redux) will be singing songs from “Then and Now”, and I’m cooking up snacks for Yahoo! Music’s Lyndsey Parker and her Reality Rocks blog. 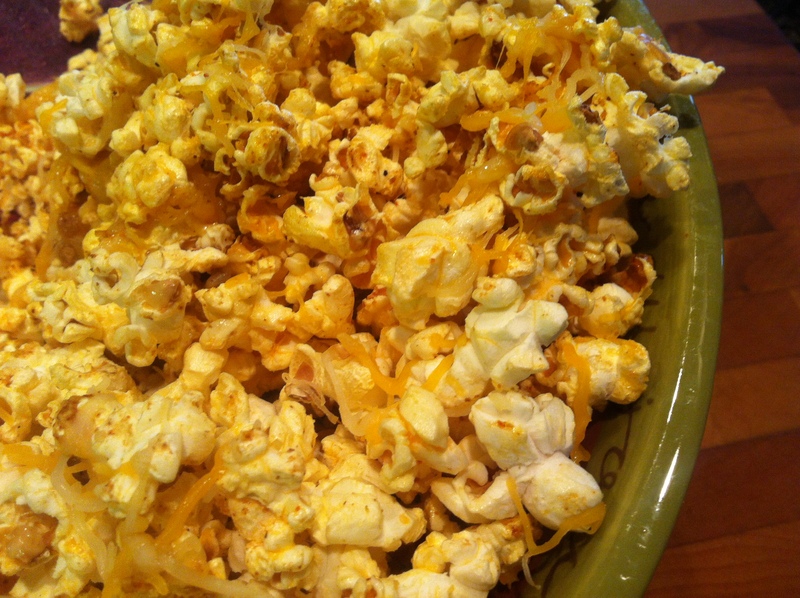 Tonight’s recipe is a classic snack (then) with a modern twist (now). My only comment from last week’s results show is….Jessica Sanchez….REALLY?? I have to apologize for the low quality pics this week. I didn’t have the Nikon camera with me in San Antonio so the old reliable point and shoot had to work. This recipe turned out insanely delicious and it took everything for me not to eat the entire bowl by myself. 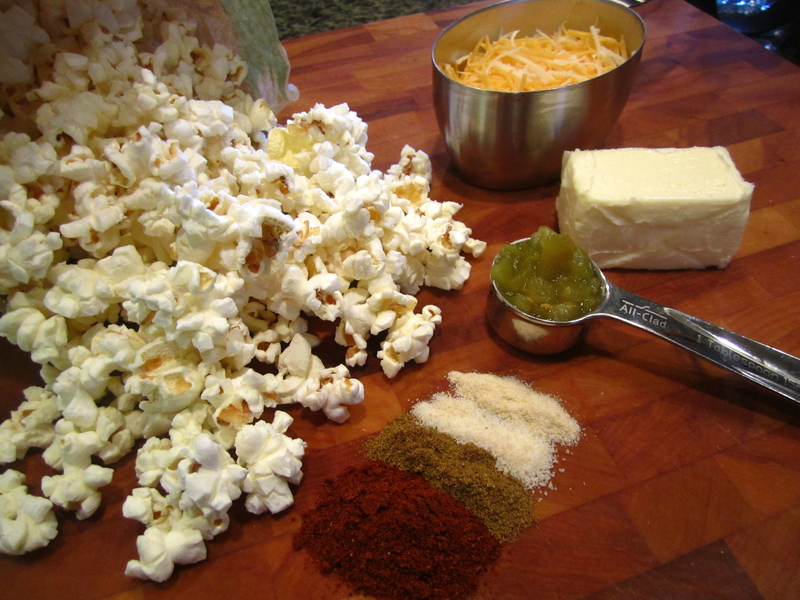 Combine the butter and next 5 ingredients, through the chiles in a medium bowl. 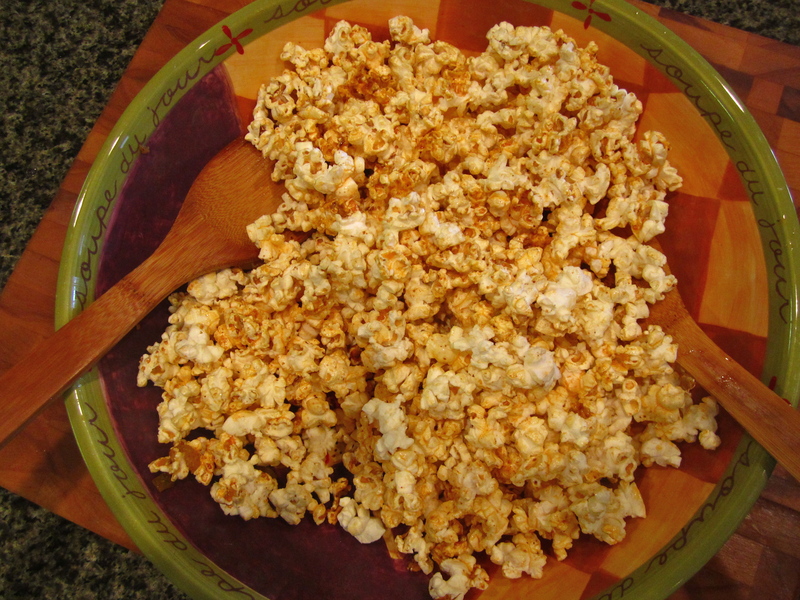 Place the popcorn in a large bowl and drizzle with the seasoned butter. 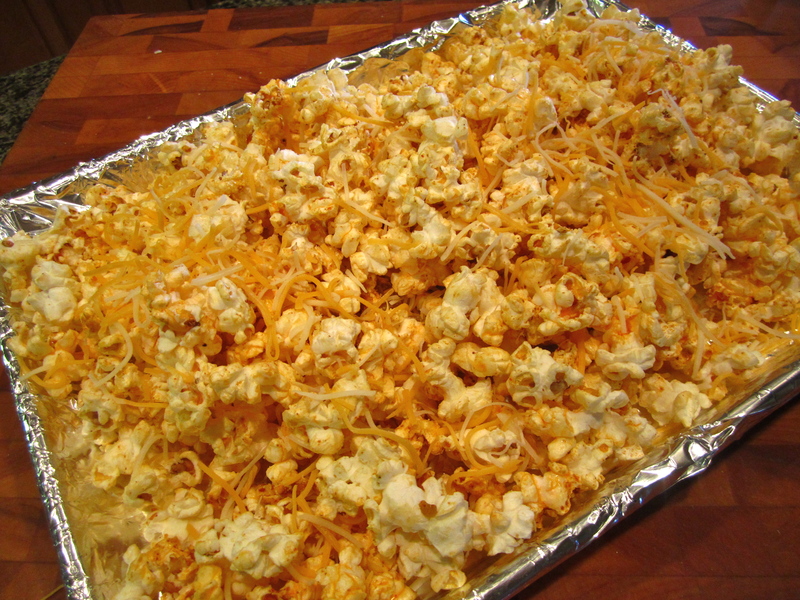 Put the popcorn on a cookie sheet covered with tin foil and sprinkle with the cheese. Bake in the oven until the cheese is melted, around 10 minutes.